We finally made it to a local community kite fly. The winds were low to moderate which made it hard to decide what kites to haul down to the beach. 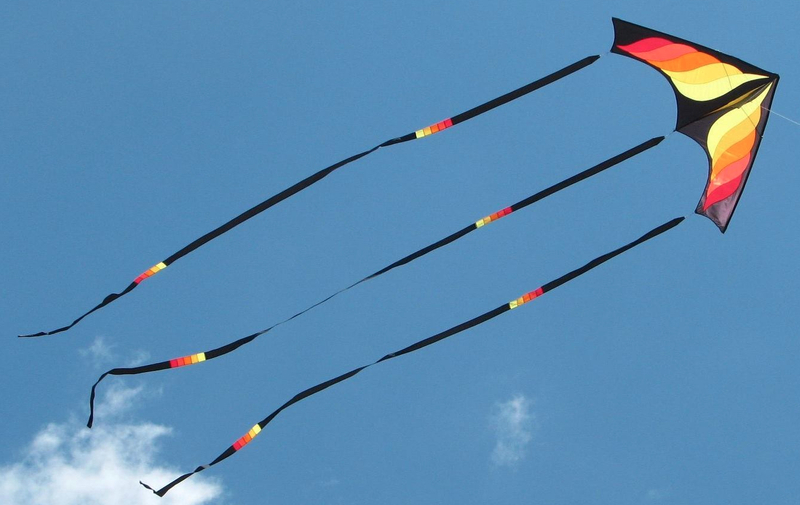 As we get older, we find ourselves only picking two or three kites to fly and not pulling the cart with a ton of stuff. Most times we make the right picks but sometimes we don’t have the right stuff and have to decide whether to walk back to the truck and change kites or not. This day we picked kites that would fly at least for a while. Until the wind died completely. Weather-wise it was a great day to sit on the beach and watch the waves, the birds, the boats and, of course, the kites. Temperature was comfortable with a hoodie and there was sunshine, blessed sunshine. Just a small group of the regular flyers were there. So relaxing. I did put up my kite show kit. I love how I can handle the lifter and all the associated line laundry by myself. The lower winds actually added a new aspect to the kite show. The crab was often just barely above the ground, so it looked like he was scuttling across the sand instead of flying above it. I also flew a new delta kite. Really wanted to put the tube tails on it but the wind was not quite strong enough. Some of the serious stunt kite flyers may take offense but there are times when it is just seems like too much work to put out the lines and assemble a stunt kite. This was one of those days. The quad line kite stayed in the bag. Instead time was spent visiting. Hopefully we will have the chance to fly on Thanksgiving Day before feasting. We will see.